Coulda, Shoulda, Might Have Been? 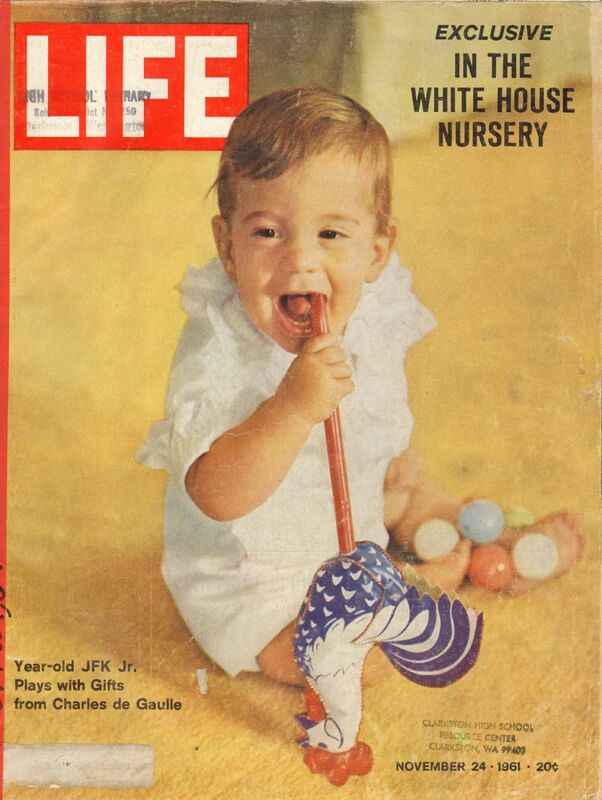 If you read the story here about Jack Gordon buying a white outfit for the Kennedy baby to be, you might have looked twice at this LIFE Magazine cover of November 24, 1961. Unfortunately, the suit that JohnJohn's wearing isn't knitted and he doesn't have booties. Ah, well, I know that Jack didn't lose sleep over not getting on the cover of LIFE. Because, as Ronald Reagan said later, but Jack lived his whole life "There is no limit to what a man can do or where he can go if he doesn't mind who gets the credit."